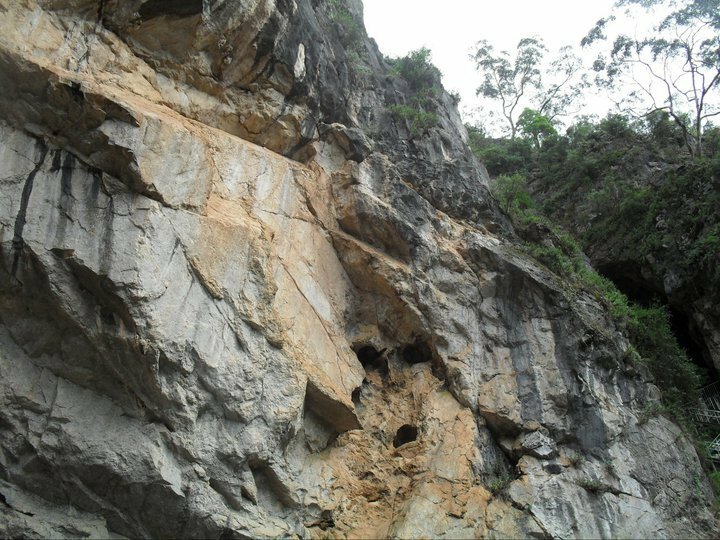 In 1884 Jenolan Caves was named after the parish in which the land was situated. The Jenolan Caves are in the Blue Mountains of New South Wales, Australia. 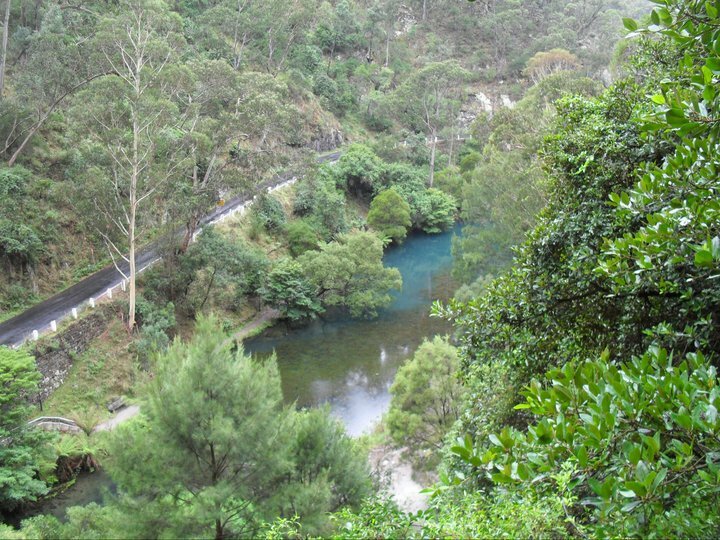 They are close to the Blue Mountains cities of Lithgow and Katoomba. This is a very popular tourist area with people from all over the globe, as well as a day trip excursion by coach for schools and Sydneysiders. 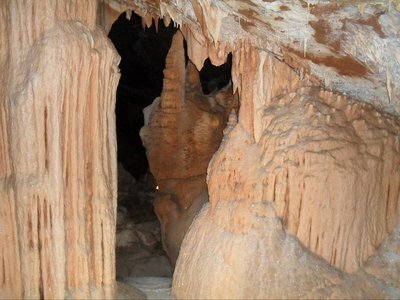 Jenolan Caves is open every day of the year, regarded as one of Australia's most outstanding cave systems. 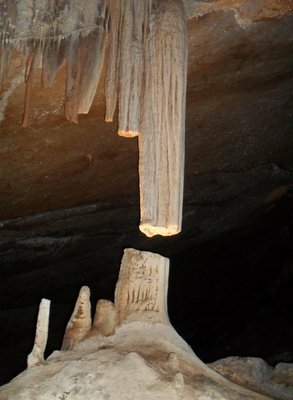 With eleven individual and unique show caves with underground rivers and spectacular formations, Jenolan is among the finest and oldest lime stone cave systems in the world. Visitors are able to explore guided cave tours, go adventure caving, participate in ghost tours and night tours, experience live music concerts underground and by special arrangement, host a wedding in the Cathedral Chamber. Aboveground also has many attractions and unusual rock formations. Bush walks are popular and photo opportunities at the blue lake are a favourite. Nature lovers will enjoy watching platypuses playing and will see glimpses of native wildlife, including kangaroos and wallabies. Upcoming concerts at Jenolan Caves include Cello Concerts in the Caves, which are being held every third Saturday of the month in the Cathedral Chamber with Cellist Georg Mertens, and until Wednesday 26 December 2012, Gypsy Concerts. Details of these and future concerts can be obtained from the Caves Trust Office, Ph 1300 763 311. Open daily from 9am to 5pm including public holidays. Additional tours operate during the school holidays, Evenings Monday-Saturday and by appointment. Live traffic updates are available - it is advisable to check road conditions, this is especially recommended during winter months. Some cave tours are limited to maximum numbers and ability levels, so it's a good idea to book in advance where possible. The area no longer has a camping ground, however very affordable accommodation is available in backpacker style rooms and for those with a little extra to spend, the historic three star Caves House is popular. Restaurants and cafes close early, so its a good idea if you are travelling with children to pack a few snacks and drinks. You cannot buy petrol at Jenolan Caves - make sure you top up before you enter the area. Why? History, family day out, adventure, nature. Please note rock climbing is not an activity offered at Jenolan Caves. We do offer caving, which does invlolve some climbing.